This is an absolutely magnificent design for an engagement ring. 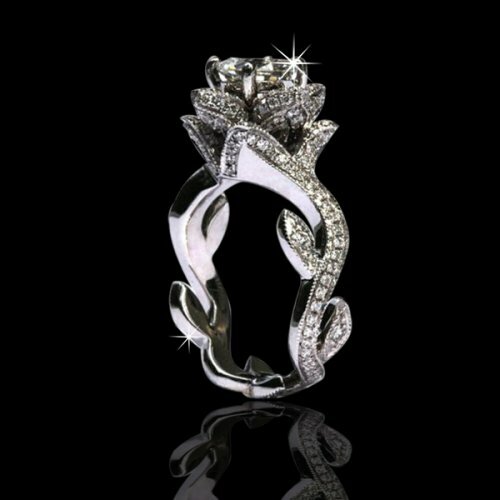 It is a custom designed ring that features a beautiful round brilliant cut diamond It's curvy design is outstanding! It is a one of a kind designed ring that features a beautiful center round brilliant cut diamond with a weight of 1.0 carat. The diamond has an awesome clarity of SI2 and a color grade of H. This diamond is full of fire!